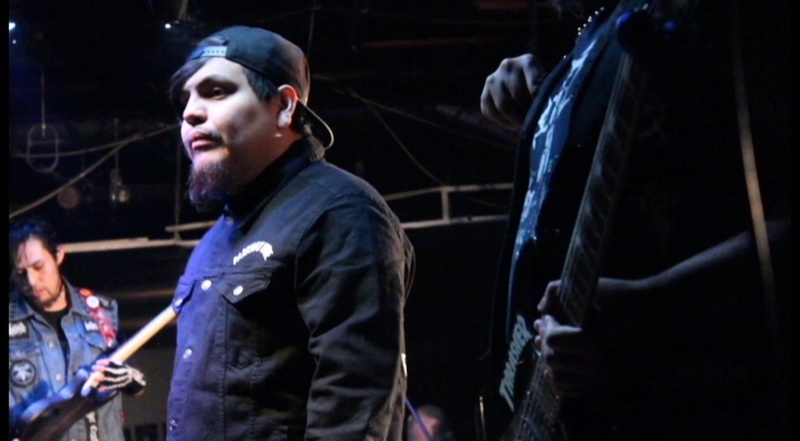 With a focus on Nation-to-Nation exchange, Mount Royal University faculty member Renae Watchman suggested that Otahpiaaki reach out to her former student, Spencer Burgess about the project he completed with Siksika punk band No More Moments in her FILM 2231 - Indigenous Film class. Below is part 1 of my interview with Spencer. What did you feel your role was in making this film? It was a lot to do with the socio and political climate, as well as the absence of knowledge with Indigenous people in Calgary. I have Indigenous friends and been around their communities, but never found that they were well represented. I didn’t know anything about reserves, I feared them for a while, and I didn’t know if I’d be welcome because of the stigma growing up. Knowing what I know now, with playing music myself on Siksika Nation, and around the country, it was one of the most welcoming experiences I’ve ever had. Now, having studied and been trained in broadcasting, the real value I’ve found in my work is to use those skills to help people understand that are other messages and stories than the mainstream media offers. What was your ah-ha! moment on the film? I’d like to see a better representation of others in our society. As a straight, white male, I am in a place of privilege that is outdated. I don’t think in 2017 there is any place for that. If I want to find value in my work, it is to help equalize the dynamic within our society. Renae Watchmen was amazing in this regard. I learned so much and was really encouraged to question the way I view things, my role in society, as well as what I’ve been told. In the class we examined so many films where the representation of First Nation communities was so skewed and disturbing. These films were produced to fit the white colonial view. The film was put together to take as much as my voice out of it, so the voice is of No More Moments, that’s the representation I wanted to show. I wanted to create a space, and keep more of the technical aspects in the background. I wanted these guys to tell their own stories. I’m now such good friends with Quarthon and Carlin, I have been in punk rock and can represent that, but I cannot do that for their culture. Nation-to-Nation Exchange is an important component of our work at Otahpiaaki. Tell us more about how this worked on the No More Moments film. It was so important for me to work with the subjects of the film from the ground up. I asked them what they wanted their voice, focus, and message to be. Interestingly, doing a project in that way was against how I was trained as a broadcaster. The film took different directions that I would have brought it with within my training – that is the strength of it, I believe. I like to hope we captured Indigenous point of view as best we could. It was Quarthon and Carlin who really helped conceptualized the film. I can only give myself credit for editing and working the camera. I make sure that anytime I’m approached about showing the film Quarthon and Carlin are there with me, they are always by my side. If No More Moments was not comfortable to show it, we wouldn’t. 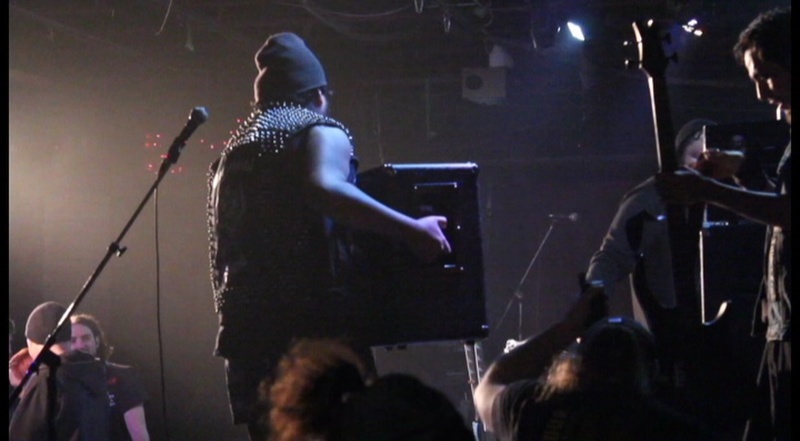 The first time it was shown publically at Calgary Underground Film Festival, I said I wouldn’t get up on stage without the members of the band. 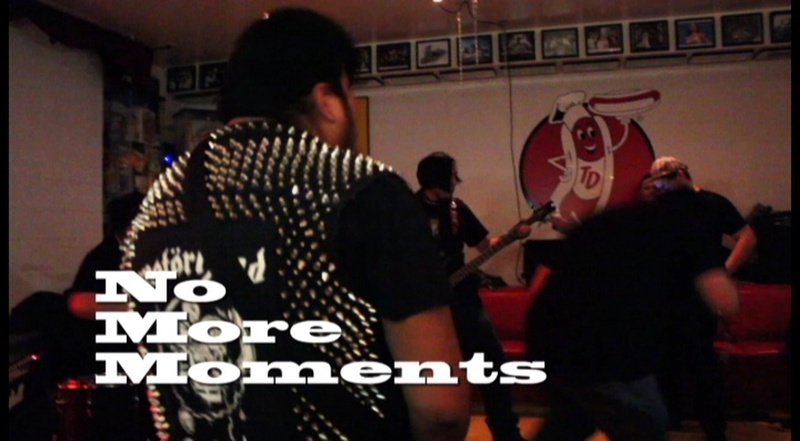 True to his word, Spencer Burgess insisted that any story written about the No More Moments film include First Nations band members Quarthon Bear Chief (Vocals) and Carlin Black Rabbit (Drums). With that in mind, I got on the phone with Quarthon. 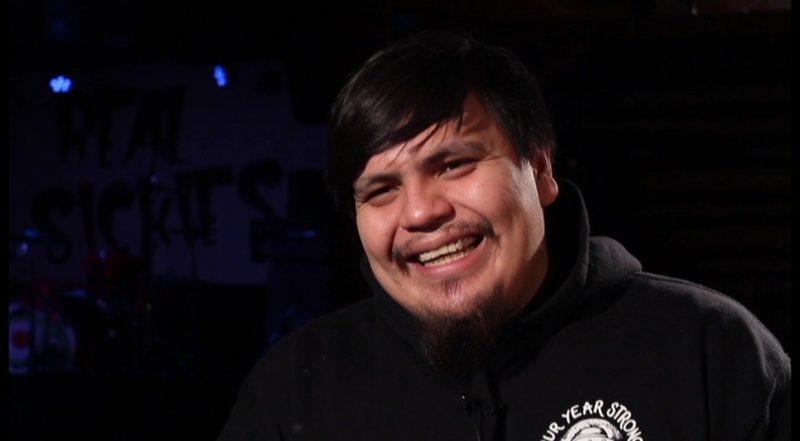 What’s your experience with Indigenous artists and musicians in and around the community? I feel that their home reserves and communities could promote the music and arts more. Home town support and support from their leaders is really important. There’s nothing better than knowing your own people love what you do and support it, it creates unity. I feel honestly people like WIOT, Metro City, and others promote us way more. Culturally, art and music are a big thing for us. It has always been a part of who we are and what we do. Youth, and many others are still doing (music and art), it should be embraced and talked more about. We should encourage people to do what they want, so they feel valued within their own community. Otahpiaaki’s pillars include Nation-to-Nation exchange. We’ve really taken to heart the TRC conclusion that the work of reconciliation is for neighbors. What does that mean to you? I’m all about that, we support that fully – any support is great, inside the community and out. It is the only way to make advancements. The ways to make change is through support, Nations should also be supporting other Nations, regardless of their different beliefs. Especially today when Nations are so divided, due to petty problems of not agreeing with each other, gaining as much support as we can to inspire more Indigenous people, to create more opportunity within our own communities – any support with arts and the community is important. This could be a little controversial, people may get it or not. But we need to support each other more, people in our community, Indigenous people, each other, way more. We don’t support enough. Spencer, with this movie has done something great for us, I would admire it too though if it came from our own community – it would make me more proud of where I came from because they believe in me. We need to reach out, support our community. There is good music, people, a fun space and others that can share thoughts – but people don’t come out find out. Tell us About Moment Fest! Carlin does this thing called Moment Fest. It brings in great bands - First Nations and non-First Nations - to the reserve so everyone can feel what it's like to play in the community. When we do these events it allows us to build these relationships – its more than a show to listen to music. It promotes unity, diversity, it allows youth and older people to talk and begin conversation on how to grow and come tougher. These are opportunities for a life changing event or a relationship. At the root – I wish people would support the cause, and others on the reserve. I wish more of the older community would support what they youth is trying to do within our community. The youth are being really diverse with their education and their hobbies, but we need the community to be strong with each other. That will give so many opportunities in the future. I feel great about it. With what we’re doing with NNM, anything is possible. It shows you don’t have to get the jobs you don’t want, you don’t have to work in reserve if you don’t want to - you can do anything you want, a doctor, work at a zoo if that makes you happy, do whatever makes you happy, then keep on doing it. It’s possible, if you’re willing to work hard and have patience, take the ride, as well as remain humble. It’s been a lot of struggle with NNM, we build relationships with people, stay humble, showing love to the people that give us these opportunities – show people that anything is possible despite how crazy the career might sound. I know that people think that musicians don’t go far, but that’s not what it’s about, it’s about your career in life to be happy despite the money, what you should do should make you feel great about yourself, and the message you send to other people. No matter how crazy your idea might be to give back to your community, do it, if you try you are 10 steps ahead of others who don’t - if people can prosper then do it! No one has ever made a big impact without making sacrifices – I hope people see that with NNM. I hope people see that with our band, it’s about anything is possible if you want to do this – reach for the stars. You have to be open and humble to the people who give you opportunities. I hope that I show my relationships with people that aren’t First Nation, because it shows diversity; the world isn’t a bad place, there are people other there to help us First Nations’ to get where we want to be. I hope people can see that from what we are doing, we are trying to get back to the reserve as best we can. Your own happiness comes from yourself.